Have a bank record or written communication from the charity for any monetary contributions. If you make single donations of $250 or more to a charity, you must have one of the following: 1) a separate acknowledgment from the organization for each donation of $250 or more or 2) a single acknowledgment from the charity listing the amount and date of each contribution of $250 or more. <li”>The $250 threshold doesn’t mean you add up separate contributions of less than $250 throughout the year. For example, if you gave a $25 offering to your church each week, you don’t need an acknowledgment from the church, even though your total contributions for the year are more than $250. If you make a payment that’s partly for goods and services, your deductible contribution is the amount of the payment that exceeds the value of the goods and services. 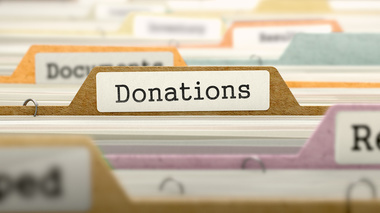 You must get the acknowledgment for your donation on or before the earlier of these two dates: the date you file your return for the year you make the contribution, or the due date, including extensions, for filing the return. If the acknowledgment doesn’t show the date of the contribution, you also must have a bank record or receipt or receipt that shows the date. Of course, you also have to make sure the organization you are donating to is qualified. Not every nonprofit can grant you the right to an income tax deduction. You can donate to civic leagues, social and sports clubs, labor unions and chambers of commerce, but you can’t deduct your gifts to these organizations as a charitable expense. The same goes for donations to candidates for public office. If you’re unclear, be sure to check with us.